Note that the majority of information in this article was gathered at the Server Beta User Group meeting on Thursday September 4th, the transcript for which is available here. There were no planned deployments to the RC channels for week 36. 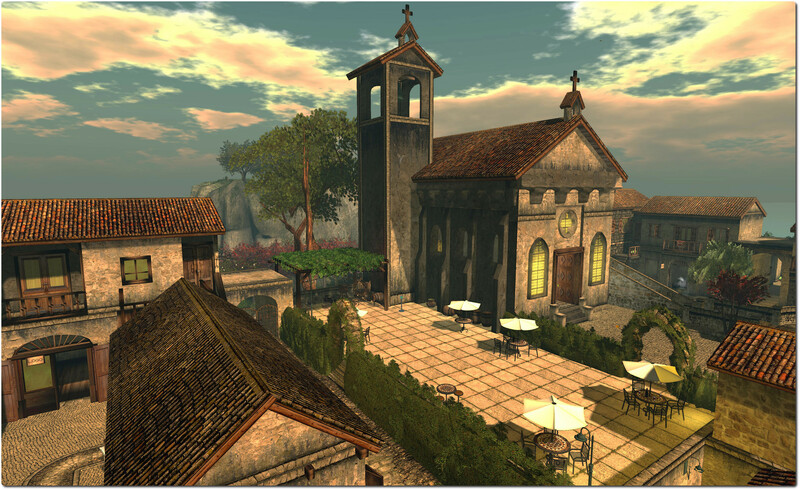 April Linden has been doing further refinements to the use of the CDN environment for map texture fetching on Aditi (see my notes from week 35). This work is liable to be moving to a main grid RC in the near future, and is being viewed as a “good dry run for using the CDN for texture and mesh fetching in the future”, according to Maestro. The viewer ‘only’ requests 100 meshes/second because the simulator has a similar throttle for answering those requests, but with the CDN, the simulator’s throttle is irrelevant. Monty did a special build of his viewer (I’m not sure if the change was permanent) which removed the throttle, and I benchmarked an average of ~365 meshes/second on the CDN region with it. Which, in my mind, is approaching “fast enough” 🙂 . Yuzuru Jewell (of Kane projects fame), has been carrying out tests from Japan, which saw his mesh load speed double via the CDN when using an unmodified viewer. This was first commented on in my week 32 meeting update, and referred to again in week 33 (both alongside BUG-6908). Commenting on the state-of-play with investigations into the issue, Maestro indicated that there is some thinking that it may have the same cause as BUG-7131 (Unexpected behaviour of on_rez event and llDetachFromAvatar() ), which is being looked into, although there is no news on a fix as yet. In week 34, I carried news about Geenz Spad’s proposal for introducing materials rendering into basic shaders (i.e. 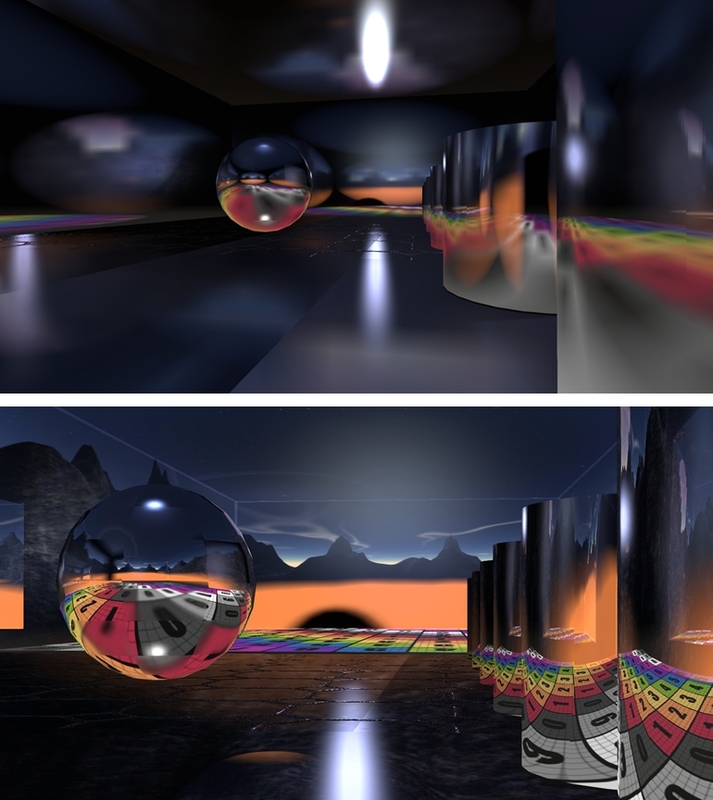 so users would not necessarily need to have Advanced Lighting Model enabled in order to see materials), and to improve the functionality of projectors in Second Life. News is a little more positive with the projector work, with a test viewer having been built, offering those who are interested with an opportunity to play with the updated projector capabilities. There is also a test area on Hippo Hollow. 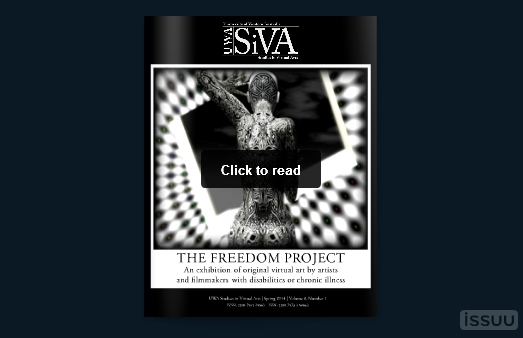 Launched on Sunday September 1st, 2013, the Freedom Project was a joint undertaking by the University of Western Australia, Virtual Ability Inc., and the Centre for ME/CFS and Other Invisible Illnesses. A 2D and 3D art and film event, the project extended an open invitation to artists suffering from a disability or chronic illness, or associated with those suffering from either, to demonstrate how virtual life has enabled them to engage in activities and interact with others in ways which may not be possible in the real world. I covered the launch of the project at the time, and subsequently reported on the opening of the Freedom Project art exhibition in the UWA’s gallery spaces in March of 2014 (the exhibition is still open for viewing at the time of writing for those who would like to visit, although the exhibition will be taken down in the next two or three weeks to provide the UWA’s Transcending Borders project additional display space. 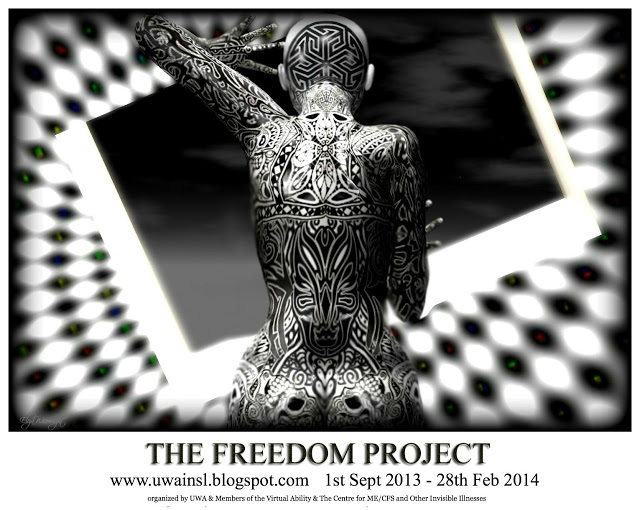 At the time the challenge was announced, it was indicated that art pieces submitted to the Freedom Project would feature in a commemorative book – both digital and orinted – in the hope that both the book and the exhibited pieces and films will inspire others, and will demonstrate how virtual worlds can be used to help some people who may have had difficulties finding other means of expression to believe in themselves more, or to connect with others. On Friday September 5th, FreeWee Ling, curator of the UWA’s gallery spaces and co-ordinator of the UWA’s virtual world art projects, announced that the Freedom Project book is now available. Lavishly produced and illustrated, the book tells of the origins of the project and provides an overview of the global nature of the project and the events which took place within Second Life where it was represented; information on the project’s partner and sponsor organisations is also provided. Central to the book is the art itself and the artists. The illustrations throughout are beautiful, with many of the pieces being given wonderful two-page spreads. The artists’ stories, told in their own words, are equally as moving, making this a powerful piece of reading. The electronic version is available on-line as a part of the UWA Studies in Virtual Arts e-journals series. 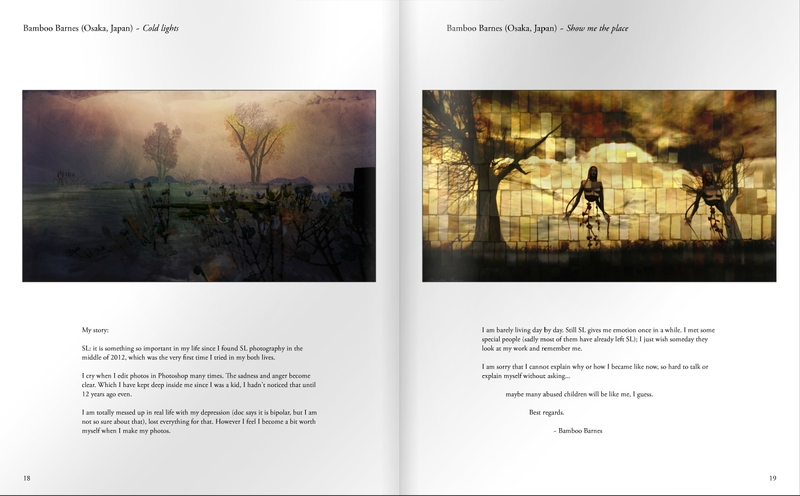 The printed version can be obtained for L$5000 (around $20.00 US), shipped anywhere in the world. Those wishing to purchase a copy should contact JayJay Zifanwee of the UWA for ordering information. Artists and groups who participated in the challenge can also claim a free copy of the printed book – again, please contact JayJay Zifanwee for ordering details. One of the things that has always fascinated me in SL is machinima. I’ve tried my hand at a few sort-of videos, but due to hardware constraints, have always restricted myself to putting together things using still images. However, in 2013, I finally got a PC with sufficient omph to produce videos, and in August, I picked up a Space Navigator, and have been slowly getting used to it. This being the case, I decided to see how I’d manage with a short video piece to see how I’d get on with capture and managing the Space Navigator, and while visiting Giovanna Cerise’s wonderful Il Folle Volo (The Mad Flight) at La Città Perduta, I tried capturing some footage and took a little time to see what I could stitch together. Now I’ll be the first to admit, the final version is var from perfect and is a little grainy in places; I captured in .AVI HD (720p) but my editing software had issues with importing, so rather than reshoot everything, I opted to convert to .MP4 HD (720p), which may have cost some quality. The recording software I used was Bandicam; next time around I’ll be trying FRAPS. The editing software used was Pinnacle – which I know isn’t the best. I have Corel VideoStudio, but have yet to really get my head around it (It also wasn’t very keen on Bandicam’s .AVI format). Anyway, my technique and the quality will hopefully improve as I have more practice / improve my set-up. In the meantime, here’s the first experiment (and my apologies to Giovanna for using her work as a guinea-pig! ).